We know that maintaining access to your booking information is paramount to the smooth running of your business operations. We therefore strive to make every reasonable effort to ensure 100% uptime of our servers and infrastructure. However, as with any computer system/network, 100% uptime can never be guaranteed in the unlikely event that unforeseen circumstances arise which are beyond our control. Our primary servers and infrastructure, however, are monitored 24/7 by our hosting provider, and we also perform our own in-house monitoring of our primary & backup servers, infrastructure and network using leading PRTG Network Monitoring software. So in the unfortunate event that an issue does arise, we can swiftly diagnose and address the problem, limiting the impact this has on our "cloud hosted" customer's MIDAS systems and business operations. For the past two years (2018 and 2017) our uptime has been 100% with zero downtime! 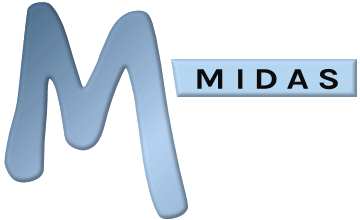 MIDAS scheduling systems can also be set to automatically backup their database(s) upon the first successful login each day. These backups are then stored on the same server as your MIDAS system for an definable period of time, and may be restored directly from within the administrative user interface. Additionally, these automated daily backups can also be emailed to a specified email address to allow you to retain your own separate "off-server" backups of your database. Furthermore, we also automatically take a complete backup of our cloud-hosted customer's MIDAS databases each day, which are stored off-site in a geographically separate location. These backups are retained for a period in accordance with our Data Retention Policy. If you are concerned about potential downtime of your "cloud hosted" MIDAS, you may be interested in our optional Emergency Access add-on, allowing you to retain access to your room booking information in the event of any connectivity or other issues with our main client servers. Also, If you're a "cloud hosted" customer be sure to Follow us on Twitter and also bookmark our dedicated Service Status page, as if there are ever any issues which may affect the service which we provide, we'll always endeavor to provide regular and timely updates through these channels. If you're still concerned over uptime/reliability of our cloud-hosted infrastructure, we also offer a "self-hosted" edition of MIDAS, allowing our software to be installed and run on your own infrastructure/server.